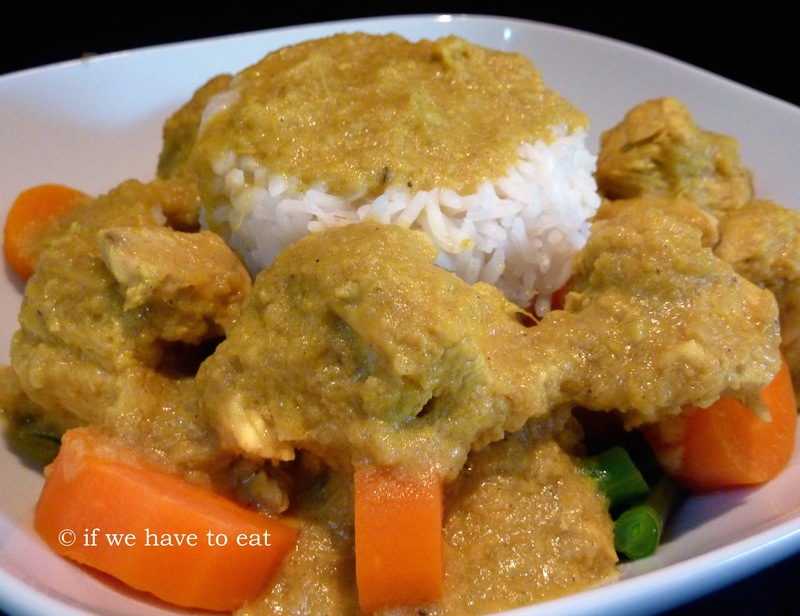 Chicken korma was the first Indian curry that I ever ate. I was a child at the time so understandably; my parents went for this creamy and mildly spiced dish. Traditionally thickened at the end with ground almonds or cashews and yoghurt, I’ve gone with chickpeas and milk to get that creamy finish. This entry was posted on July 6, 2014 by ifwehavetoeat in Mains and tagged Curry, Mains, Make Ahead, Poultry, Recipe, Thermomix, Varoma.